With all the rain we’ve been getting here, the forest has never been so green! The moss up our many stairs is brilliantly emerald. I can feel spring coming and, along with it, better weather for outdoor entertaining. Coming from a family with Irish roots on both sides, we celebrated St. Patrick’s Day at home annually with a big family meal. For dessert, my mom always made Blarney Stones, a disgustingly sweet and delicious treat that my grandmother also made for her growing up. It involves Twinkies being coated in icing and rolled in peanuts (! )…I might have to continue that tradition with Ezra when he’s a little older. My family recently came to visit (that’s my little brother Ryan sitting next to me!) 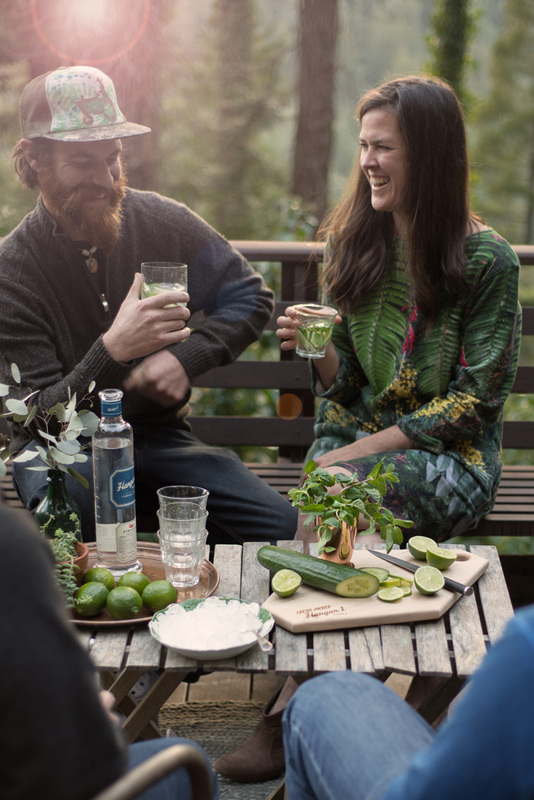 and we had some festive spring drinks on the deck that are perfect for a St. Paddy’s Day gathering. I put all the fixings out for this Green Gimlet which makes for a fun and interactive cocktail hour. 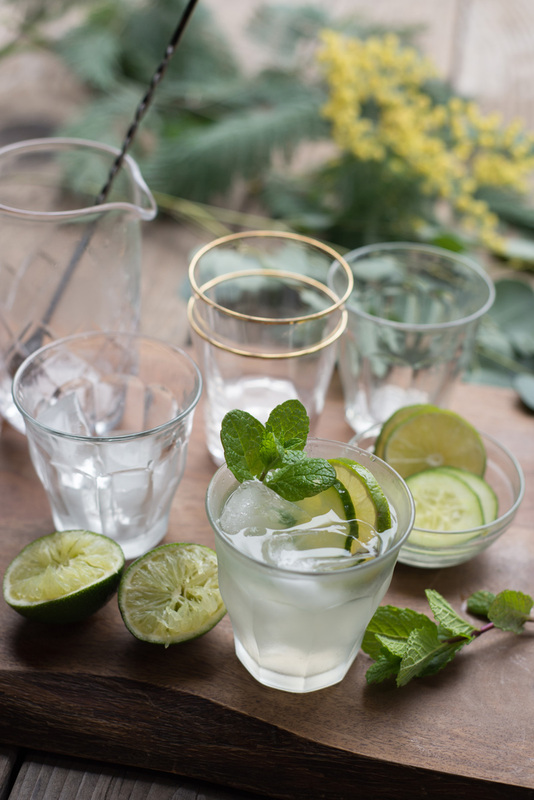 We started with 2 oz (¼ c) of our local Hangar 1 Straight Vodka, then added juice from one lime and ice, and garnished with lime and cucumber slices, plus fresh mint. The result is crisp, refreshing, and cheerfully green. (And I bet it pairs nicely with a Blarney Stone ;) The recipe above serves 1, but you can easily multiply it by 8 for a pitcher. 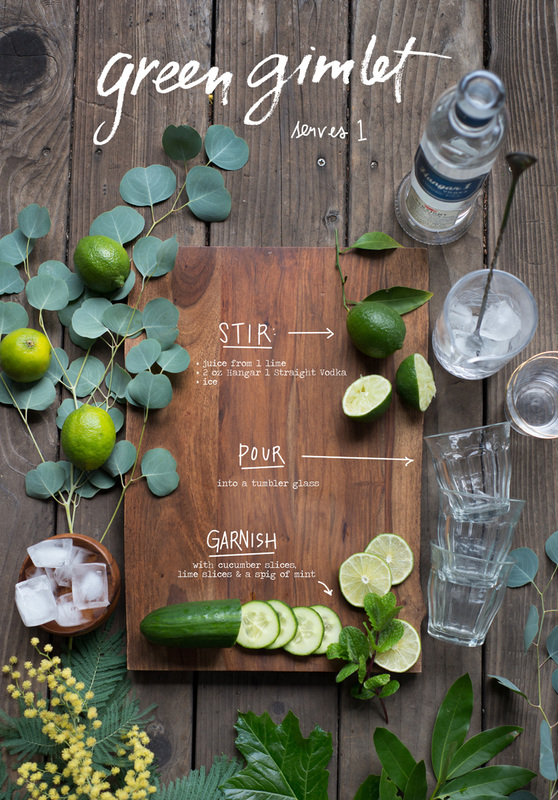 This post was done in partnership with Hangar 1 Vodka as part of the Fresh-Picked Vodka campaign. We like Hangar 1 because it’s high quality, tasty, and made nearby. I also love that it’s made by a woman who started her career in art. My cookbook for kids is out! !